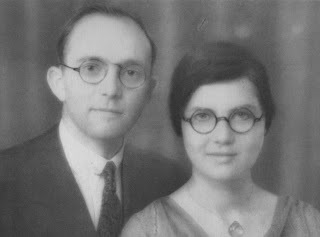 A number of accounts have been written about the deaths of John and Elisabeth Stam at the hands of Chinese Communists on December 8, 1934. These include "The Triumph of John and Betty Stam" by Mrs. Howard Taylor, published in 1935 by the China Inland Mission, Philadelphia, and "Not Worthy to be Compared" and "The Miracle Baby" by Rev. 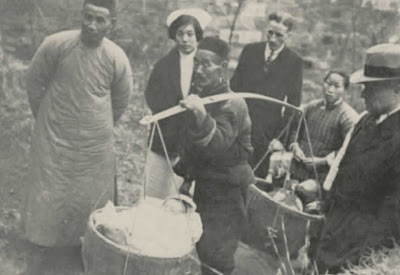 E.H. Hamilton, 1935, in Kiangsu, China. Memorials include an Anniversary Letter by Clara and Charles Scott, Elisabeth's parents in 1936 in Tsinan, China, and materials published by a variety of religious organizations ranging from The Alliance Weekly in 1935, to The Christian History Institute's Glimpses in 2003. All our possessions and stores are in their hands, but we praise God for peace in our hearts, and for a meal tonight. God grant you wisdom in what you do, and us fortitude and courage, and peace of heart. He is able-and a wonderful Friend in such a time. Things happened so quickly this A.M. They were in the city just a few hours after the everpersistent rumors really became alarming, so that we could not prepare in time. We were just too late. The Lord bless and guide you and as for us, - may God be glorified, whether by life or by death, (Phil.I:20). The original army of two thousand Communist soldiers quickly increased to six thousand and took command of the district. 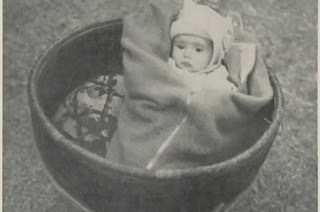 When they captured John and Betty, they discussed killing the baby immediately to avoid the trouble of dealing with an infant. An anonymous prisoner who had just been freed from jail spoke up to save the infant. Helen Priscilla was spared, but the man was killed instead. The Stams were marched twelve miles away to Miaosheo. They were held overnight in the home of a man who had previously fled. Betty hid two five dollar bills in the baby's clothing and left her behind. John and Betty were taken to "Eagle's Hill" where it was announced that the "foreign devils" would die. A Chinese medicine seller, Chang Hsiu Sheng, pleaded for their lives and was murdered. John and Betty were then made to kneel and were swiftly executed with a sword. For the next day and a half, the bodies lay where they had fallen and the baby cried quietly still hidden in the house. The Communist army was only several miles away and no one dared touch the bodies, or retrieve the infant. Finally, a Chinese Evangelist, Mr. Lo, whom John had previously worked with returned. With the help of an elderly Chinese woman, he found the baby still located in the abandoned house in which John and Betty had spent their last night. Lo's wife cared for the baby and coffins were made to properly bury the Stams. The Los walked nearly one hundred miles carrying Helen and their own young son in rice baskets, in order to return Helen to her maternal grandparents in Tsinan. This account is drawn largely from "The Triumph of John and Betty Stam" by Mrs. Howard Taylor, 1935.